Fall leaves, hot cocoa and pumpkin pie. It’s that time of year! This is when we all go collectively for all things pumpkin. If you love the flavor or pumpkin spice, but want to stay healthy over the holidays, never fear. 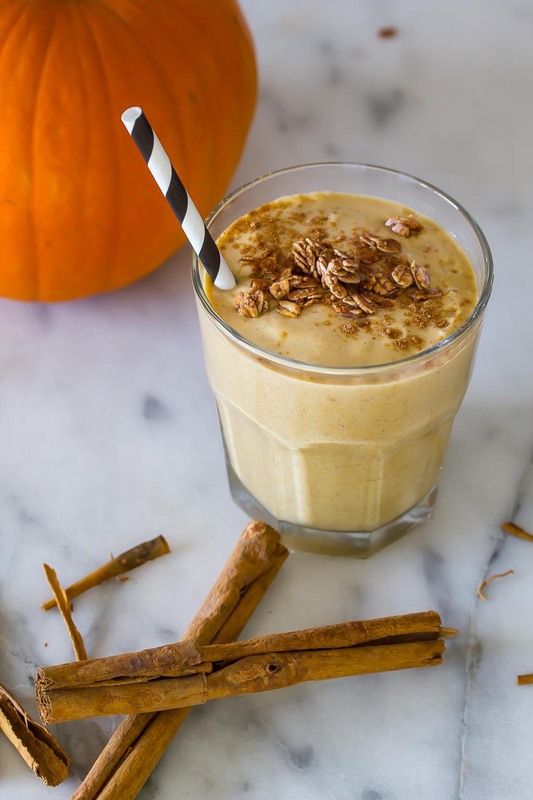 Pumpkin Spice Smoothie to the rescue! 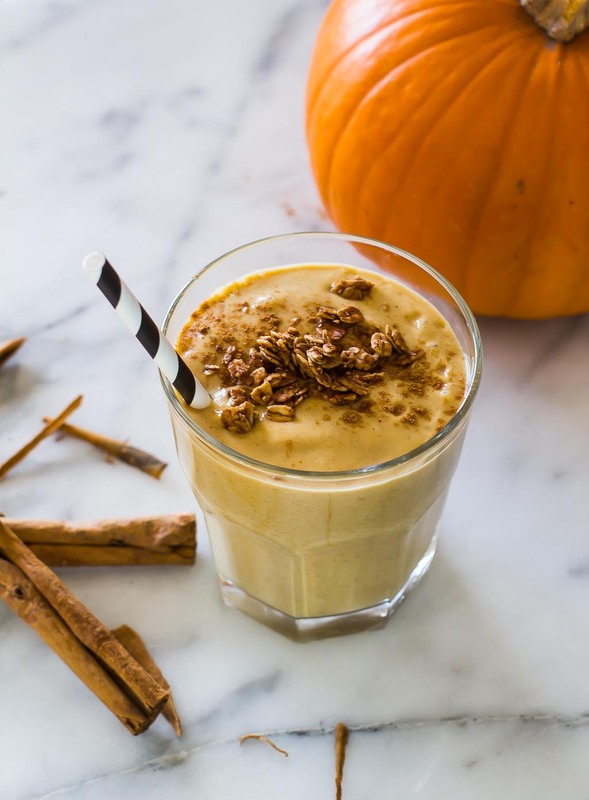 This delicious, seasonal smoothie can be an alternative to your morning smoothie (it’s a great smoothie to add extra protein to, with your favorite vegan protein powder), or it can even be a healthy dessert alternative on a cozy fall night. If you want it to have more of an ice cream texture, add the almond milk, little by little, until you have just enough to blend and get to a creamy texture. I usually start with 1/2 cup for a thicker ice cream texture. 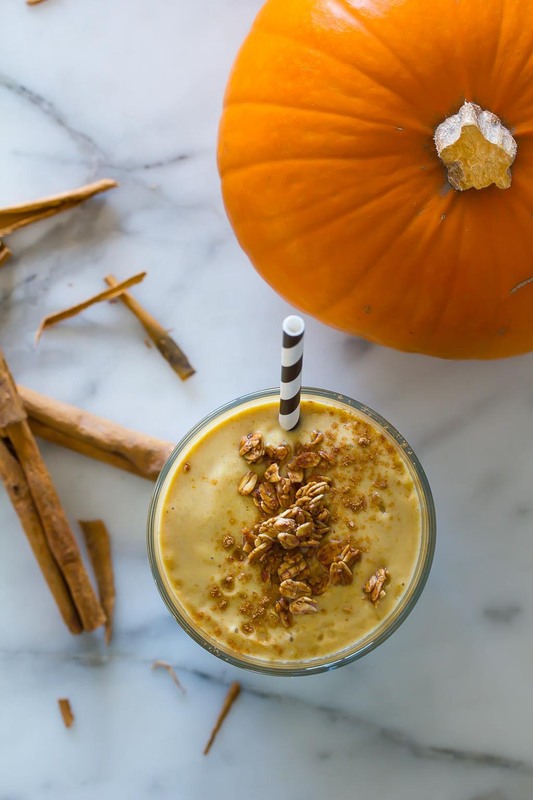 You could also use this as a base for a fun, fall-themed smoothie bowl! Some additions you might want to try are turmeric, chili, and orange zest. Personally, I love this with sliced banana and chopped date, along with a smattering of cocoa granola. If you love smoothies, you might like this super healthy blueberry mango smoothie bowl! Blend all ingredients together until smooth in a blender. Garnish with granola and a pinch of cinnamon. Serve immediately, or keep chilled until ready to serve. is this pumpkin puree fresh or out of a can (or from a cut up pumpkin and steamed, then pureed)? You can use either. Just for ease I have been using organic canned pumpkin puree.